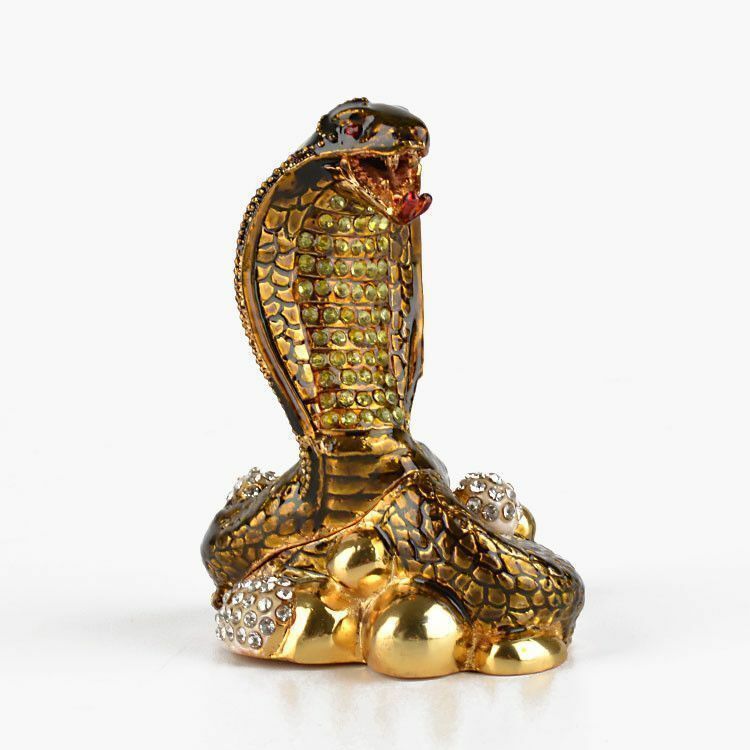 This 3 3/4" tall King Cobra protects a nest of golden and crystal-studded eggs. 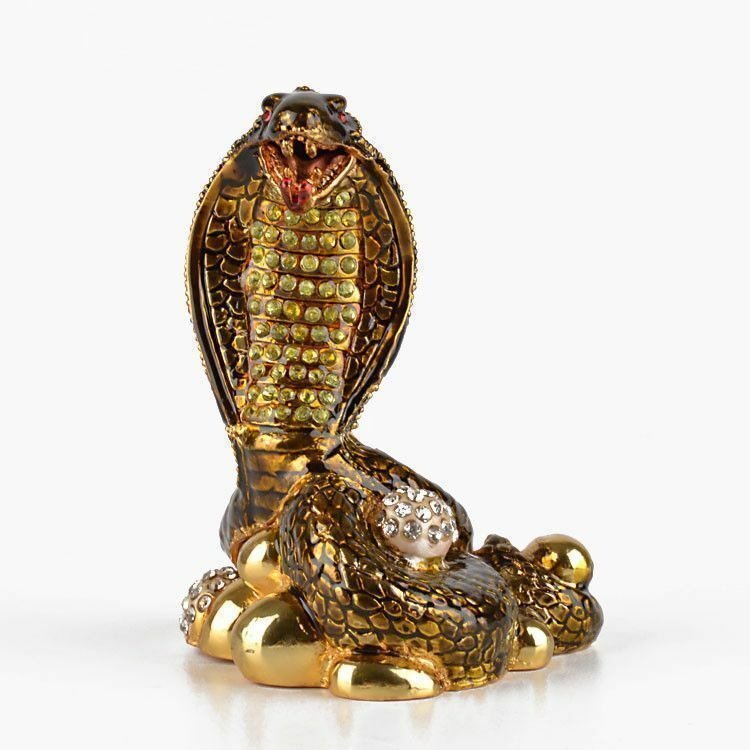 The mother cobra snake is beautifully made, with strong pewter and hand-enameled paint. 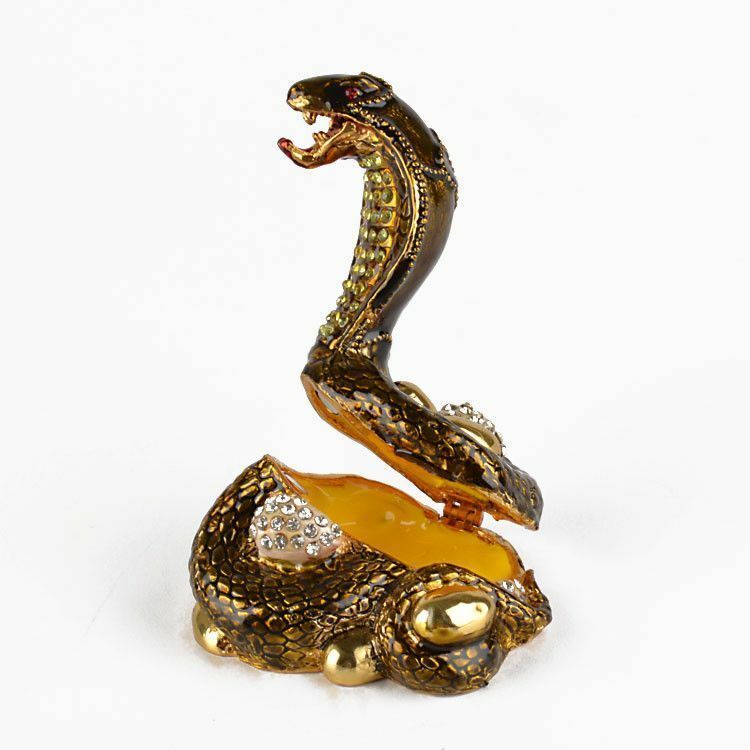 This snake gift box opens up with a hinge and closes securely with a magnetic disc. 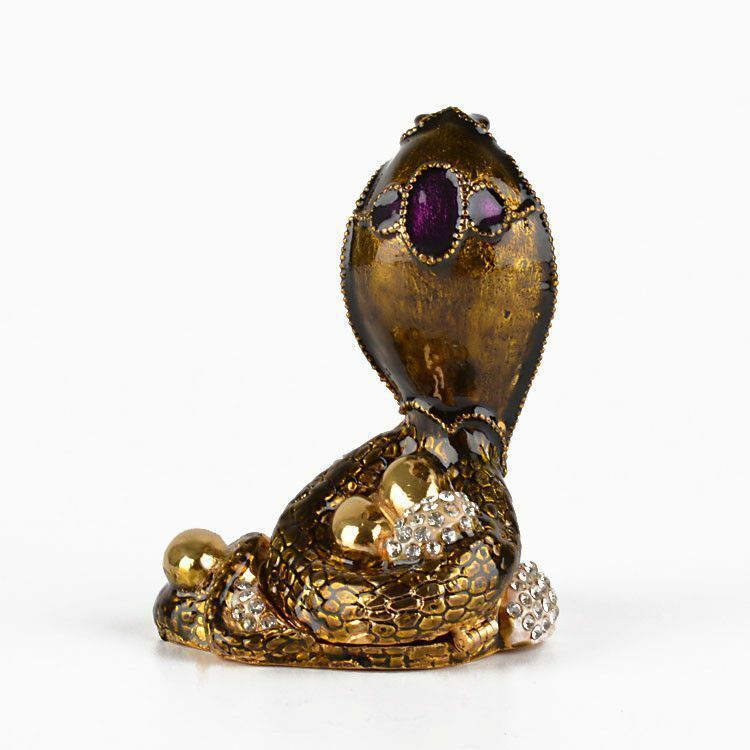 There is just enough space inside to put a thin necklace chain or other small item inside.